Are you, like me, and millions of other Americans suffering from asthma, or COPD or both and need to use an inhaler every day? You know what it is like to struggle to catch your breath while doing the simplest of everyday tasks. Sometimes just taking a shower and getting dressed in the morning leaves you as breathless as if you had been running the bases in a baseball game in your youth. If you live in a two-story home you know how it is when you know you have to climb the stairs to put the laundry away or clean the bedrooms. You tend to collect everything that needs to be taken upstairs on the stairs, so as to limit the number of trips you have to make. If you have a basement you literally have to plan your chores as to avoid going down to the basement to get something that needs to be taken up to the second floor or vice versa. Outside of your home, you dread having to mow the lawn on hot and humid days and forget raking leaves in the fall! You love to work in your vegetable garden, but it seems to take forever to do the simplest tasks, as you have to stop to rest after each little action. Taking the trash out on cool nights seems like running a marathon at times, but it has to be done. You dread walking the dog even though you know it’s a good exercise for both you and the dog, but you hope he doesn’t walk too fast. You look at your neighbors riding their bicycles around the neighborhood and wish you could do the same, as they smile and wave to you. …you secretly worry that there are not too many flights of stairs to challenge your breathing. When friends invite you to go to a public event such as a hockey game, basketball game or concert you secretly worry that there are not too many flights of stairs to challenge your breathing. At least going to the mall is easier, if everything is on the same level or there are escalators. If you have to fly for vacations or family visits you have to make sure you have enough time to make connecting flights, so you are not forced to run from gate to gate. You feel inadequate and feel as though you are not a whole functioning human being. You know what it is like not being able to breathe like you once did in your youth, or maybe you are young and have never been able to breathe normally. Not being able to breathe adequately is annoying and extremely depressing. You feel inadequate and feel as though you are not a whole functioning human being. If you smoked in the past you also have feelings of guilt and anger. Why do some former or present smokers not have any breathing problems, when you do? With all of the above feelings you have another feeling, one of dependence. You are dependent upon inhalers to enable you to breathe a little better, hopefully. You have to have no insurance and no money. Thank God asthma and COPD sufferers have inhalers which can greatly improve our lives. Too bad we live in the Unites States though! That’s right! 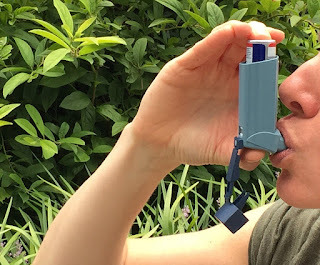 did you know that inhalers in other countries cost a fraction of what they do in this country? In Asia and Europe they may cost anywhere from 1/3 to 1/10 of the cost in the U.S.! (When I lived in Malaysia I paid $9 for my inhaler and now it’s $45.) How does that make you feel? Sure, ads for certain inhalers that offer $5or $10 monthly payments for eligible patients are everywhere on television or in magazines, but read the eligibility requirements found in the fine print. If you are covered by Medicare or Medicaid or other governmental programs you do not qualify! You have to have no insurance and no money. How does it make you feel when you see ads for inhalers that offer hope in being able to breathe normally and then find out there is no way you can afford them? My pulmonologist says that most of his asthma and COPD patients cannot afford their medication and many go without. How does this happen in the richest country in the world? The answer is greed! A few years ago inhalers were affordable to most people but this all changed when the EPA banned CFCs (chlorofluorocarbons) which were propellants used in inhalers, because they damaged the environment. The CFCs were then replaced by a new propellant, HFA ( hydrofluoroalkane). Because of this change in propellants, the pharmaceutical companies were able to re-patent their inhalers, thus drastically raising their price and assuring that they would continue to reap high profits for years to come! These newly reinvented inhalers, as well as all new inhalers now have patents that will not expire for another 20 years! For many of inhalers we use there are generic brands available, but not in the United States. Asia and Europe offer these generics and also brand named inhalers without the new propellants and that is why they are so much cheaper. Our own FDA chose to aid big pharma’s profits, rather than alleviating the suffering of our own citizens! How does that make you feel? Oh yeah, how about all of those drug ads you see on television, in the newspapers and in magazines? Who’s paying for all of those ads? You are, in the price of the drugs! How does that make you feel? Will things ever change for all of us who suffer from respiratory diseases? Probably not, at least not in my shortened lifetime. Things won’t change in this country until it is not possible for our politicians to be owned by big pharma and we have some kind of universal health care, like the rest of the civilized world. According to Opensecrets.org. big pharma donated over $25 million in 2018. That money was to purchase members of Congress, from both parties, to protect their profits and keep our drug prices high. Election after election our politicians promise to do something about the high cost of drugs, but nothing is ever done. And Americans continue to vote for the same lying politicians enriching themselves from big pharmacy at the expense of our failing health. That makes me feel sick and angry! How about you? 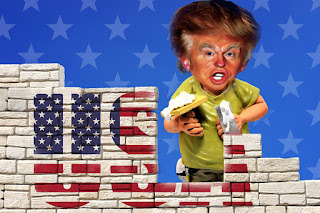 Why does Donny want to build a wall? I suppose that everyone is sick and tired by now of our little dictator wannabee, Trump, whining about building his useless, idiotic and unAmerican wall. We have been constantly bombarded by tweets and press conferences where King Donald offers nothing but a steady stream of lies and conspiracy theories. It's as if he was a spoiled 2 year old who isn't getting his way, As any spoiled 2 year old would do, he is throwing a temper tantrum. So why does he want to build his wall? The answer is really quite simple. Besides the help he got from Putin, Trump received, and still does receive, the overwhelming support of a rather small percentage of mostly uneducated, racist and bigoted people, who believe anything he says. He promised them that he would build a wall to keep out those terrible Mexicans. He really didn't think he was going to be elected, so he thought he could say and promise anything. Well to everyone's surprise, and dismay, he was elected. Thinking ahead to 2020 and wishing to remain in power and even strengthen his power, he feels that he has to deliver on that promise to build a wall, no matter how useless and expensive it may be. 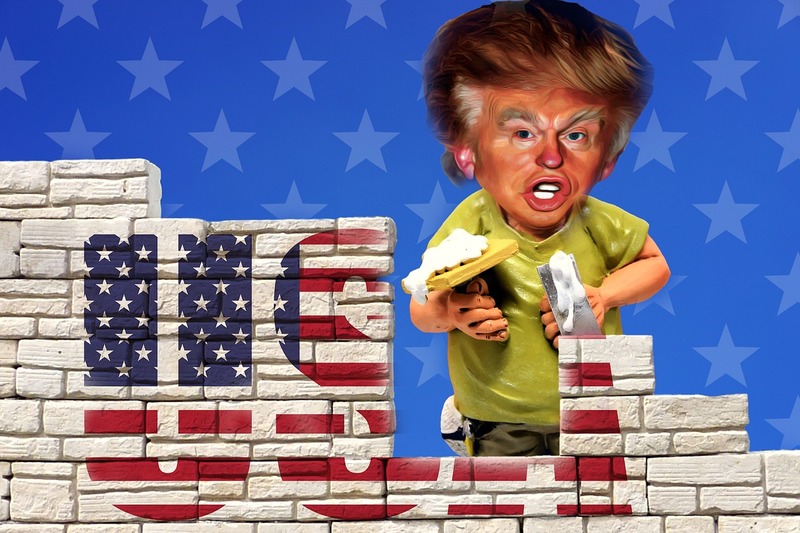 Since a majority of the American people, and probably a majority of Congressmen, are opposed to a wall and refuse to give him his $5 billion to pay for it, he has refused to accept the proposed budget and shut the government down. He doesn't care how many people are being hurt by the shutdown and he doesn't care how much damage it is causing our economy. All he cares about is himself! Meeting with House Speaker Pelosi and Democratic leader Schumer Trump agreed to take credit for the shutdown, only later to deny he said it and blame the Democrats. He continues to blame everyone except for himself. He does not seem phased by the number of families who can't pay their rent or mortgage or other bills. He doesn't care if the safety and security of our air travel are being negatively affected. He doesn't care if our military isn't being paid, as long as he and his family aren't suffering. He doesn't care who gets hurt as long as he gets his wall for his racist and bigoted supporters. If the Democrats give in to him and give him the money for his wall we will be in grave danger. He will know that his tantrum worked and he will shut down the government, again and again, to get whatever he wants. What happens if he wants dictatorial powers? We have a corrupt, fearful and spineless Republican party who will not challenge a mentally disturbed President. This shutdown is bad but I fear the worst is yet to come.